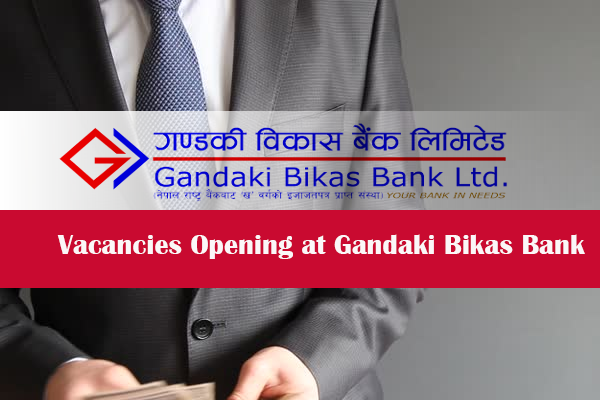 Gandaki Bikash Bank Limited is one of the leading National Level Development Bank operating with 77 branches invites applications from young, energetic, highly motivated, skilled & experienced candidates with determination to excel in following positions for corporate office and its branches. Preference shall be given to candidates having work experience in Bank and Financial Institution or banking audit experience in audit firms. Should have knowledge of NRB Directives, BAFIA, Tax low of Nepal and other related Acts. Already attended final examination of CA from recognized institute. Preference shall be given to candidates having experience in Bank/Financial institutions or banking adult experience in audit firms. Bachelor ‘s Degree in Management or equivalent. At least 2 years of experience in Bank and Financial institution. Bachelor’s Degree in Management or equivalent. Age should not exceed 30 years. Well – versed and fluent in both written and spoken English and Nepali. Competent in Ms Office package . 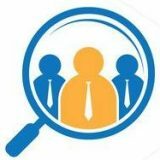 Expected to be having positive attitude, smart personality with excellent communication and interpersonal skills. 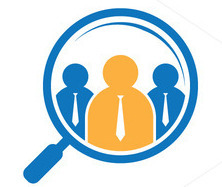 Position shall be determined as per candidate’s work experience and qualification. Website within 15 days of the publication for this advertisement. Only short listed candidates will be selected for the recruiting process.